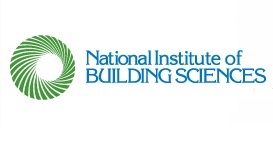 WASHINGTON – (RealEstateRama) — The National Institute of Building Sciences (Institute) Off-Site Construction Council (OSCC), Associated Schools of Construction (ASC) and Association of Collegiate Schools of Architecture (ACSA) have released the results of a survey to understand how institutions of higher education are teaching about off-site construction methods. This joint effort, investigated by researchers from Washington State University, University of Nebraska and Colorado State University, follows on an initial survey conducted in 2014. Survey respondents came from architecture and construction management programs in academic institutions across the country. The compiled data compares the 2017 responses to the 2014 academic survey results, as well as responses from concurrent 2014 and 2017 OSCC surveys that looked at how the industry is using off-site construction methods. There still is a disconnect between how frequently the industry is using off-site construction (88%) and how many architecture (40%) and construction (33%) schools are teaching it. Architecture schools have increased their focus on hands-on learning of off-site techniques, using more design studios (59%) and design/build (54%) formats. Construction management schools continue to favor lecture formats as the main avenues for teaching off-site construction, with nearly 80% utilizing this method in 2017. The off-site construction topics taught in each setting continue to track with the overall emphasis and expertise of their related disciplines. The architecture programs focused on materials and products; design and engineering; and automation. The construction management programs focused on accelerated scheduling; lean manufacturing; project management and commercial construction. Industry responded that its primary construction type is commercial construction. Meanwhile, the most addressed topic of architecture programs is single-family housing, and multi-family housing is the most addressed topic of construction management programs. Construction management programs tracked well with teaching about the types of products the industry was using in 2014. However, the industry shifted its focus in 2017 and both the architecture and construction management programs have not yet made a corresponding shift in their teaching. Architecture programs are researching a number of topics, with the top areas in 2017 continuing to be new products and design optimization. Construction management programs continue to research building information modeling (BIM) integration, but have seen an increase in research related to supply chain integration. A total of 92 institutions participated in the survey, with 59 from architecture programs and 33 from construction management programs. 181 participants from industry responded to the concurrent industry survey. View the Results of a Survey of Prefabrication in Design and Construction Academics: Comparing 2014 & 2017.
Review prior industry surveys on the utilization of off-site construction, as well as case studies from effective projects and other resources related to off-site construction. Learn more about the OSCC.